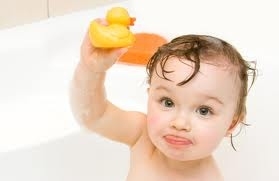 "Don't throw the baby out with the bath water." In this case, the "baby" is formative assessment. With so much focus on the Common Core and the six shifts in literacy, some people are losing sight of the good teaching strategies already in place. As I've written on this blog before, and as I said during my presentation at the L.I.LA.C. conference, shifts like the close read of text are additions to what is already working in our classrooms, not replacements. The best practices which have helped students in the past should be maintained. Practices like the turn and talk, the stop and jot, the fast write, all still have a place in good instruction, as do the new standards. And of course the place of the new standards is that of raising the bar for both students and teachers and helping us to hone our craft. But let's not lose sight of the fact that it is a craft, developed over time and honed through trial and error, failure and success that can only come from experience. That very experience enables teachers to gather anecdotal evidence of their students' learning everyday in the classroom, through formative assessments. Those formative assessments drive future instruction, allowing a teacher to tweak her lesson plans from day to day or even from class period to class period. So while we change the way we plan our lessons to meet the new Common Core standards, we should not change the way we flexibly adjust those lessons as the need arises. The question, then, is which formative assessments mesh best with the Common Core standards? This week I will be blogging about some of the most effective formative assessments to use with the Common Core.